A Former committee treasurer who embezzled £15,000 was told yesterday she had escaped a jail sentence only because she had repaid the money. Moray mother-of-three Kathleen Fraser, 44, was told she would ordinarily have faced a prison sentence of nine months to a year. But Sheriff Ian Cameron said he would fine her after learning that Fraser had borrowed money from relatives to make full restitution to the Duffus Village Hall committee. Fraser was fined £1,250, which she will have to pay at £25 a week from the incapacity benefit she and her husband receive. Her solicitor, Simon Booker-Milburn, handed over a cheque for £15,000 in favour of the hall committee when Fraser appeared for sentence at Elgin Sheriff Court yesterday. Mr Booker-Milburn told Sheriff Cameron that Fraser had borrowed the money from her family. The funds were embezzled between June, 1997, and September, 2001, while Fraser was treasurer of Duffus Hall. She was appointed to the post shortly after the hall was destroyed by fire and a fundraising campaign was launched to build a replacement. Most of the £330,000 for the new hall came from insurance payouts and grants. In her role as treasurer, Fraser handled six separate bank accounts. Cheques had to be countersigned by two other committee members but Fraser, of 21 Hopeman Road, Duffus, falsified the signatures before cashing the cheques. The court was told that she had used the embezzled money to cover everyday expenses. Mr Booker-Milburn said Fraser received £140 every fortnight in incapacity benefit, while her husband, a manic depressive, received £161 plus £250 per month disability living allowance. Sheriff Cameron told Fraser, who admitted the embezzlement, that what she had done was wrong. "What made it worse was the sheer amount of the sum that was taken," he said. "I accept that you appear as a first offender, but having regard to the amount involved, if it had not been repaid you would have gone to prison for a year, or at least nine months." Three members of the Duffus hall committee were in court to see Fraser sentenced. They refused to comment, but issued a statement on the committee's behalf. It said Fraser had not apologised for her actions, given any explanation or shown any remorse, and had let down the entire community because she had been in a position of trust as hall treasurer. "The repayment of £15,000 will go some way towards paying off the loan the committee had to arrange two years ago to save the hall from closure, which would have happened as a result of her criminal activities. "However, it will take the Duffus community several years of fundraising to pay off the balance of the loan. "The committee would like to thank the villagers and the wider community for their support during this very difficult and stressful period, and hope they will continue to do so while we put the hall back on a sound financial basis." The statement said auditors who were appointed at the time the discrepancies were first discovered in the accounts had found more than £30,000 missing. 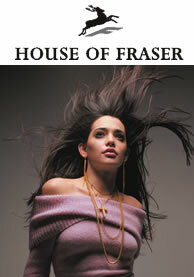 It added: "Subsequently, the procurator fiscal decided that Mrs Fraser be charged with embezzlement. Mrs Fraser pleaded guilty to the sum of £15,000." Register with us and you could win £1000! Click here for an easy way to tell us what you think!